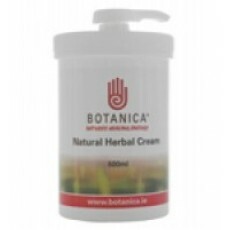 500 gm Botanica Cream in Dispencer. The most economical and hygenic way to use. Ideal for house or stable yard. Its properties of Tee tree Aleo Vera Lavender and Comfrey in a moisturising base make it a fantastic healer for most wounds,grazes.mud fever rain scald and skin complaints. We have used it on ourselves,horse and dogs.